While hurricane season is coming to a close, bad weather conditions like heavy rain and wind can make driving around Clermont very hazardous for yourself and everyone else on the road. 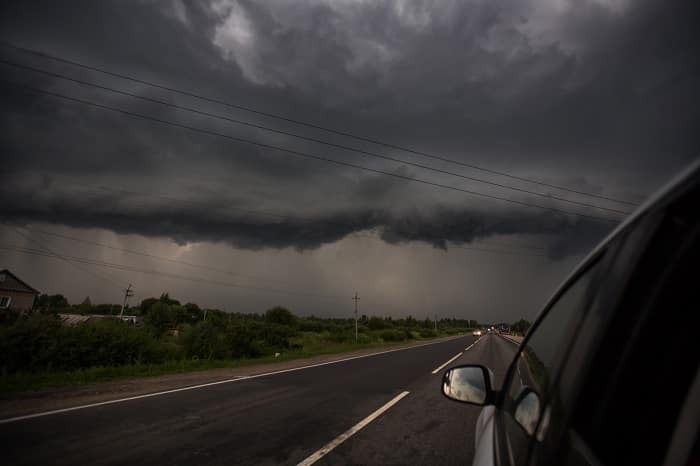 In the event that the weather conditions turn severe, we recommend either pulling over or staying in a sheltered location and waiting until the weather clears. However, if you find yourself on the road when the weather takes a turn for the worst, don’t panic! Toyota of Clermont is here with a guide on what to do before the next rainstorm strikes. Keep a firm grip on the wheel and stay focused on the road ahead. Driving your Clermont Toyota vehicle in bad weather conditions like heavy winds can make you more prone to flipping or losing control and winding up in an accident. If you drive a vehicle like a Toyota SUV, truck, or crossover, you’re more prone to flipping when rounding corners or driving at higher speeds in windy conditions. Don’t forget about sudden gusts. Steady high-speed wind is hazardous as it is, but there’s always the chance for strong gusts that can catch you by surprise. If you start to notice a stronger push on your car or that the wind is blowing harder at different times, grip the wheel tightly and slow down to reduce your likelihood of flipping or skidding on the road. Take not of larger Clermont Toyota vehicles on the road. During bad weather conditions, larger vehicles are at especially higher risk due to their heavy weight, higher center of gravity, and larger blind spots. If you drive a smaller vehicle, be aware of larger cars on the road like Clermont Toyota trucks and SUVs. And if you drive a larger car, stay focused and reduce your speed. All drivers should take note of cargo trucks and other oversized cars like recreational vehicles. Slow down to keep from hydroplaning. Rain makes the roads slick and there’s always a chance of skidding if you’re driving too fast. Increase your following space. 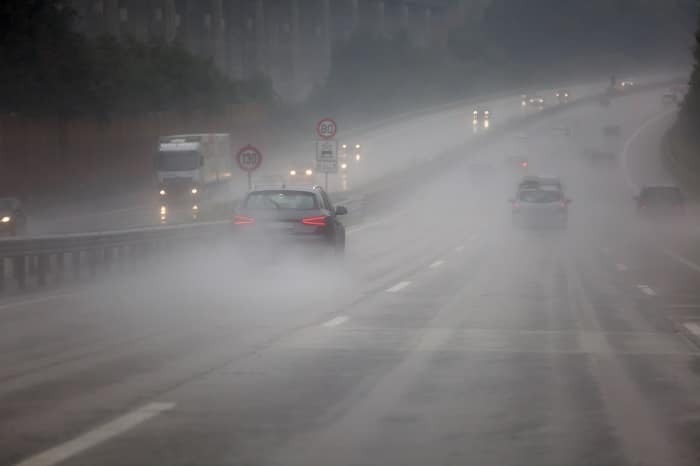 Braking during bad weather conditions like heavy rain is harder and takes more time. Make sure to leave some additional following space between your car and the Clermont Toyota vehicle in front of you. Keep your headlights on to alert other drivers. Keeping your headlights on during the rain allows other drivers to see you while on the road. Don’t use your hazards or high beams. When bad weather conditions strike you need to make sure you and your car are ready for it. Come visit our auto service experts at Toyota of Clermont to get your vehicle ready to handle whatever the weather throws at you. Give us a call at (352) 404 – 7000 to get things set up!